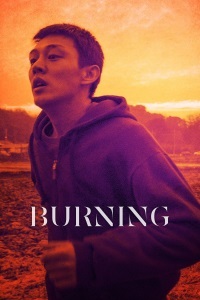 An extended adaptation of Haruki Murakami’s short story Barn Burning, based on William Faulkner’s story of the same name, Burning follows a quiet young man named Jong-su (Yoo Ah-in), who reconnects with his old classmate Hae-mi (Jeon Jong-seo) and starts to fall for her. But when a well-traveled, charismatic rich guy named Ben (Steven Yeun) comes into the picture and swallows all of Hae-mi’s attention, Jong-su starts to chip away at Ben’s flawless veneer. I wasn’t supposed to be in this role. If you’re packaging this in Korea, they’re not thinking about me. They already had someone lined up, and suddenly there was an open space, and [Lee] was like, “Here’s an American Korean person, and if I can help him get to a full Korean embodiment of his character, his inherent American-ness will create that dissonance that makes you feel like he’s ‘other’ [in Korean society].” He’s so Korean, but he’s not at all, you know what I mean? Vulture: Can Burning Get South Korea Its First Oscar Nomination? There is so much fascinating, underplayed tension running through Burning — oddly, I found myself put in mind of Elon Musk stepping out with art-pop singer-songwriter Grimes at the Met Ball last week. I don’t claim to know anything about the inner life of that relationship, but the perception of the rich vampirizing youth — not directly biologically or physically or financially, but emotionally — is incredibly compelling. Thank you for this post. I just saw the movie on Thanksgiving, and am still blown away by it. It works on so many levels; a psychological thriller and mystery, an exploration of toxic masculinity, the economic hardship of being a young person trying to make a life in South Korea contrasted against a wealthy few ("we have so many Gatsbys in Korea"). Easily could watch this again, to capture nuances missed the first time around. Stunning movie. The class inequality is amazing. The girl at the final party is clearly lower class than the other people there, it's enough to really make you wonder about Ben's tastes. The ambiguity of this film is delicious. I really liked this film, and it kept churning in my brain after I saw it. And usually I'm quite eager to offer up my thoughts on a film, but this is one of those pieces of media where I'm not sure if my interpretations are correct or if they're just faulty conclusions based on my own perspective and blindspots. So, yeah, I think this film did it's job putting you in, uh, Yoo's headspace. Maybe I should watch it again? On that note, it's available for streaming for free on Hoopla, a streaming service that some public libraries subscribe too. If your library is a part of it, you will just need an email and a library card to sign up. What a great film. There was quite a contrast between the two halves - a really well-sketched piece on young love and jealousy, turning into a Hitchcockian suspense thriller for the second half. It slightly reminded me of “In The Bedroom”, in terms of structure. For my money, I found the first half stronger, but I don’t have any complaints - the whole thing was beautifully made, and it’s still bouncing around my head several days after watching it. And (what I took to be) its key messages about power and class and age and status were equally effective throughout both halves. And usually I'm quite eager to offer up my thoughts on a film, but this is one of those pieces of media where I'm not sure if my interpretations are correct or if they're just faulty conclusions based on my own perspective and blindspots. Even putting aside any weightier themes and possible meaning(s), just in terms of the plot: We’re led to one particular understanding - the mysterious disappearance, the supposed pyromania that appears to be a metaphor for some other activity (“What’s a metaphor?” / “Ask Jongsu”), the phonecall from Haemi, the lack of contact, the trophy drawer, the adopted cat, the next girlfriend / victim all lined up. But we see all of this circumstantial evidence from Jongsu’s perspective. And he’s the jilted ex. It could well be that Haemi was (quite reasonably) ignoring him after he confessed his love for her to Ben at the farm... and then called her a whore to her face. If Ben had then dumped her (or she him) she may have decided to get a new number. Especially with Jongsu’s constant calls. Haemi had “the big hunger” for life, and is at an age where she’s reinventing herself. She may well have found both male characters too limited and constraining. What does that leave us with? I still tend towards the first, presumably intended reading. But we’re given a partial account of the evidence against an unsympathetic character, and all the evidence is highly circumstantial. I don’t think it’s a reach to imagine that Jongsu could have killed an innocent man.